The human immune system is a protective force honed by millions of years of evolution to provide a broad, yet thorough opposition to entities that harm the human body. It is capable of responding to microscopic antagonists such as bacteria, fungi, viruses, and parasites quickly enough to prevent the body from being overwhelmed, while tailoring its approach to maximize the effectiveness of the response. It is also capable of recognizing malfunctions within its own forces by locating faulty cells and taking the appropriate actions to fix the problem or simply eliminate the cells through apoptosis. This impressive range and power is due to the two-part structure of the immune system, which separates the strategy into 2 segments called innate and adaptive immunity. Innate immunity is responsible for the very rapid response seen after the onset of infections, and runs on pattern recognition found in microorganisms. However, it cannot mount attacks on lone compounds such as proteins, carbohydrates, and fats, which may be byproducts of an infection (Abbas & Lichtman, 2011). It also has difficulty due to the evasive nature and highly evolved defensive mechanisms that microscopic agents have developed in the evolutionary battle between them and the human body. This is where the highly specific and flexible adaptive immune system comes in. While it takes longer to kick into action than the innate immune system, the adaptive branch has a very wide “library” of antigen1 receptors with great specificity, and has methods of “learning” from encounters with the antigens it encounters. It has mechanisms of tailoring its specificity to its targets and upon later encounters with the same antigen, mounts a stronger and faster response (Abbas & Lichtman, 2011). Most of the time this two-fold system does a remarkable job of covering any antagonists it encounters. There are cases in which this system is lacking, or is simply unable to mount an effective response. Some microscopic foes have developed ways of incapacitating the system through hijacking the “police force” itself such as the notorious HIV virus, which attacks the T-cell subsection of the adaptive immune system (Abbas & Lichtman, 2011). Occasionally the human body is its own enemy, as is seen in cancers. While the immune system is capable of identifying and attacking rogue human cells, the antigens can be difficult to identify due to their human origin and the cancers’ own evasive mechanisms. By the time one’s body is ready to mount a defense, the number of cancerous cells is too great to overcome. Finally, the process of aging affects the effectiveness of the immune system, decreasing the quantity and quality of the cells present to protect the human body. The failure of this protective force leads to a greater susceptibility to opportunistic infections, and can lead to death from infections that would be successfully countered at a younger age. These failings of the biological protective force lend themselves to an inorganic solution; a supplementary “immune system” made up of microscopic machines that lack the limitations inherent in all organic life forms. The question is then how to train this inorganic squadron to be an effective and up-to-date force against possible antagonistic encounters. A potential solution is to have an AI system be the “brains” behind the approach these nanomachines take. In a way AI is a good match because like an immune system, it requires no higher consciousness and runs on a set of rules; genes in the case of the biological system and algorithms on the part of AI. This AI can be learn as it goes, becoming progressively better in its response with the experience it gains. This mirrors the adaptive immune system, as opposed to the innate immune system. With successful training, an AI with nanobots acting as its proxy would work well to enhance the human body’s response to cancer, HIV, and age-related immune decline. To picture how an AI could model its behavior within the immune system, it is necessary to see how the adaptive immune system acquires its specificity to antigens, and how it is capable of learning from its previous encounters with them. The adaptive immune system is made up of T Lymphocytes and B Lymphocytes, with T Cells managing the cell-mediated defense and B-Cells managing antagonists through the humoral defense. T cells are subdivided into Helper T Lymphocytes and Cytotoxic T Lymphocytes, and react to intercellular (within the cell) attacks (Abbas & Lichtman, 2011). Thus, a virus will not be noticed by T Lymphocytes until it enters the cells it is infecting (agents outside of cells are managed by the humoral immune system via B cells and antibodies.) All nucleated cells in the body present samplings of molecules from within themselves via MHC4 class 1 receptors for scanning by the immune system. When a non-human or malfunctioning protein sequence is detected on MHC class 1 receptors by Cytotoxic T Lymphocytes with the matching antigen receptor, they trigger the cell to undergo apoptosis2 to eliminate the reservoir of virus from within the cell. Certain cells called antigen presenting cells (APCs)5 have class 2 MHC receptors, which take external proteins obtained from endocytosis3 and present them to helper T Cells (Abbas & Lichtman, 2011). When non-human or malfunctioning proteins are presented to helper T cells with matching antigen receptors via MHC 2, they can trigger an increase in the innate immune response, the activation of B Cells to produce antibodies, and an overall increase in immune activity. Communication between these cells occurs via cytokines, which act as chemical messengers to indicate which type of response is necessary for a particular situation. B Cells, unlike T Cells, engage agents in the blood (outside of cells) through antibodies; free-floating structures that latch onto the antigen in question. They then target the innate immune system to dispose of the antigen, or disable it themselves. Antibodies have a wider range of antigen types that they affect; T cells can only act against protein antigens while antibodies can counter proteins in addition to fats and carbohydrates, among other substances (Abbas & Lichtman, 2011). In order for antibodies to be produced, T helper cells that have been activated by an MHC 2 molecule signal for B cells to differentiate into plasma cells, which can begin the production of antibodies. However, this only applies for protein antigens. B-cells are activated to produce antibodies against non-protein antigens without T-cell assistance. Even before encountering antigens, B Cells and T cells have their receptors ready; they do not create the receptor after encountering the antigen. The ability for antigens to be successfully matched to these receptors by sheer numbers is due to a shuffling of genes that create an enormous number of antigen possibilities. The creation of receptors with varying specificities is dictated by the recombination of V, D, and J gene segments (variable, joining and diversity, respectively) using VDJ recombinase enzyme (Abbas & Lichtman, 2011). For each adaptive system cell, there are many V, D, and J segments available as choices for each gene recombination. During the process of recombination, many changes occur in the addition, deletion, and overhand “P-nucleotide filling” of base pairs, creating potentially unlimited diversity at junction points. This ultimately results in a total of approximately 1016 possibilities for T-Cell receptors, and 1011 possibilities for immunoglobulins (Abbas & Lichtman, 2011). Approximately 107 distinct clones types of these receptors and antibodies are present in one’s body at any time, showing that the reservoir of possibilities far exceeds what is actually expressed in one’s body. After the cells have been approved to not react with it’s own cells (cells that over-react or don’t at all are destroyed by forced apoptosis, or in the case of B cells, have their antigen edited), they are released into peripheral lymph organs, where antigen is concentrated by the body to increase the chances of a matched encounter. Cells that find their antigen match quickly multiply their numbers in a process called clonal expansion, and differentiate into a form that is best suited to counter that particular threat (T cells differentiate into helper and cytotoxic cells, while B cells develop into plasma cells) and are released into the blood, where they perform the functions mentioned earlier. The adaptive system can be seen to “learn” in its response to future encounters with antigen. After the primary (first) infection, memory cells are produced which are very long lasting, and which enable the adaptive immune system to react more quickly and strongly than in the previous infection (Abbas & Lichtman, 2011). This ability to form memory cells is the basis of vaccination- they allow a rapid and effective response for when the actual infectious agent is encountered. B cells have further mechanisms to hone their specificity, as they undergo hypermutations in lymph nodes in the process of an infection, and select only the more attuned cells to survive. As a result, more well-suited antibodies are formed after the encounter with the antigen. While the adaptive immune system is remarkable in its flexibility, ability to recognize a wide variety of antigens, and capability to learn from previous encounters, it does have its faults. Examples where the immune system fails to act successfully include cancers, HIV infections, and the aging process. Cancers are a daunting challenge for the human immune system. While the adaptive immune system can recognize tumor surface antigens, these antigens are only weakly immunogenic because of their similarity to normal human cells, and can even be changed or lost quickly due to mutations (Abbas & Lichtman, 2011). Tumor cells can be capable of secreting chemical signals that limit the immune system response, and make any reaction against them far weaker than necessary. One of the biggest challenges with tumor cells is their extremely rapid rate of growth; the immune system may not be capable of keeping up with the rapid cancerous expansion, and each cell in the lineage must be destroyed to eliminate the threat. The cancer becomes more difficult to face with increasing numbers, and after it reaches a certain point, it can simply overwhelm the body’s capabilities. HIV is an extremely difficult virus to tackle due to the fact that its primary target is the cells of the immune system itself. The virus attaches to receptors that are mostly prevalent on T helper cells; a critical component of the adaptive immune system (Abbas & Lichtman, 2011). The virus attaches to a surface receptor, enters the cell, and imbeds its genetic material into the cell’s own DNA using reverse transcriptase. As soon as the infected T-cell encounters its appropriate antigen, it starts the process of DNA transcription to produce appropriate cellular signals and chemicals, which unfortunately activates the latent provirus and initiates the process of viral replication. Infected cells die from being overwhelmed by the viral production, and the released viruses go on to infect other cells of the immune system. This process directly decimates the number of T-Cells in the blood stream, and the chronic exposure to the same virus causes apoptosis in uninfected cells, affecting the adaptive system indirectly. The virus then continues to grow, and develop reservoirs in cells of the adaptive and innate system. While the immune system is capable of developing responses and antibodies against the HIV protein involved in receptor attachment called gp120, this protein evolves quickly, not allowing for an effective immune response. The patient’s immune system then continues to weaken to the point of categorization of AIDS, and opportunistic infections and cancers frequently cause the death of the patient (Abbas & Lichtman, 2011). Due to the normal process of aging, changes occur in the immune system that lead to the decreased quantity and quality of T and B cells (Montecino-Rodriguez, Berent-Maoz, & Dorshkind, 2013). Changes in the microenvironment such as decreased quantity of cytokine cell signals lead to less lymphocyte development and proliferation. Changes in progenitor cells (such as a decreased number specializing in the creation of T and B cells and difficulty with adhering to stromal cells) causes a smaller number of the cells to be produced, leading to a smaller overall stock. T cells are affected by the shrinking of the thymus with age, as that is a location critical to T-cell development. B cells become less capable of facilitating Antibody class-switching, causing a decrease in the effectiveness of antibody response specificity. These changes, among others, cause a much greater susceptibility to disease in elderly populations. While these problems are present in the human body and are at least partially linked to the nature of biological organisms, artificial intelligence can come in as a supplement to address, if not completely eliminate them. An artificial intelligence system would run on customizable algorithms and can teach itself after training with known pathogens and opponents. An AI would not be prone to issues of organic life such as aging, mutations, and pathogenic co-evolution. Bacteria can evolve to produce new antigens or mechanisms of avoiding detection from the immune system in a million-years long evolutionary game of tag. However, in the face of an inorganic machine with algorithms not limited to an evolutionary niche, there is no escape. In fact the longer the AI learns from the human body, the better attuned it becomes to the issues of the specific individual. The AI becomes completely customized, and in effect, becomes a part of the human body. Current biological applications of AI include identification and classification of differing cell morphology through machine learning (Sommer & Gerlich, 2013). Such technologies would need to be developed further to fulfill a wide range of tasks inside the body. The field of medical nanotechnology is largely in the developmental and research phase. Nano materials as opposed to more complex nanomachines are being used and tested to fill gaps and enhance our current treatment capabilities. Examples include synthetic nano and micro sized capsules attached to specific anti-cancer antibodies that are sent out into the body to encounter cells of interest and delivery targeted and concentrated therapies (Hede & Huilgol, 2006). Nano materials capable of emitting extreme heat are sent out into the body to encounter cancerous cells, and when an external signal is applied, they cause selective destruction of those localized cells through hyperthermic treatment. Such treatments have great promise for a more enhanced approach with less damage to surrounding areas of the body, but are far from the vision of nano-machinery with multiple components and effector mechanisms. More developments in the fields of biology and engineering are required before such dreams become feasible. Such future machinery would have to deal with the issues of residing in a biological creature and working cooperatively as its own organism. The nano-robots will have to be composed of materials that do not cause damage to the body or incite an immune reaction against themselves from the human immune system. While remaining small enough to pass through capillary sized-openings and tissue openings, the nanobots would have to be large enough to contain the machinery necessary to carry out anti-antigen actions and receive/transmit signals from the AI. The idea of housing an AI in nanobots brings about a critical question; where will this AI reside? Will it be spread throughout the nanobots in a hive-mind system, or will it be housed in a separate implant located within the body to act as a central intelligence? The answer to that question will likely be decided by the capabilities of the nanomachines themselves. The next technical issue to address would be the longevity and replacement of nanomachines within the body. Would these machines be capable of fixing themselves, or possibly building replacements once they start to deteriorate? Or would these robots be eliminated from the body when they are no longer functional, and be replaced by a routine injection at the doctor’s office? This question, again, depends on the development of nanotechnology over the next decades. Implementation of such an AI system would first require the existence and efficiency/safety of the aforementioned nanomachines. An AI program would have to be capable of handling the information necessary to act within the human body. The first step in training this AI would be to upload information regarding the expected chemicals and molecules of the human body. This enormous amount of information would include data on expected chemical types, concentrations, and locations. It would have to entail a highly detailed knowledge of the human body, cell types, and expected physiological reactions throughout the day, throughout aging, and in response to stressors such as disease, aging, and possible events such as pregnancies. This immense library of knowledge would be required so that the AI is capable of recognizing the difference between a normal situation and an infection. The next step would be to implement machine learning in a controlled environment, such as a virtual simulation, or a tissue sample. In this environment the AI would undergo supervised machine learning, which teaches the program to categorize entities as neutral or harmful, and to decide the best mechanism of acting against them if necessary. This type of learning could run on classification programs that are either parametric (probability-density calculating) such as linear and quadratic discriminants, or non parametric methods, such as decision trees (yes or no classification), neural networks, and support vector machines (SVMs) (Tarca, Carey, Chen, Romero, & Drăghici, 2007). Various pathogens and their variants can be presented to see how the program would react. Correct reactions to pathogens would be reinforced, and incorrect reactions would be designated as such. The following critical step would be unsupervised machine learning, in which the AI would continue to learn without human interference using methods such as cluster analysis (Tarca, Carey, Chen, Romero, & Drăghici, 2007). With enough supervised training, the AI may learn to make create new programs and form educated decisions in response novel encounters (previously unseen categories of virus, physiologically unusual cancer cell morphology). Successful unsupervised learning would identify antagonists while ignoring healthy cells. After many trials the AI may be ready for biological implementation, and the nanobots/nanobot control center would be implanted. A physician should be able to have access to the control center through wireless or physical means to monitor for any abnormalities/self-reactive behaviors. This would ensure that in the scenario that the nanobots react unusually, they could be quickly discovered and disabled. Due to the inorganic nature of the AI, it can have advantages in detection that the human immune system is not capable of. Our immune systems have become very well adapted to recognizing the chemicals and surface proteins (or lack thereof) that many antagonists to the human system produce. However, by evolving in such a specific trajectory, they may not be capable of recognizing other patterns or signals that distinguish the body from the entities attempting to sabotage it. An AI would not be constrained to this niche, and might be capable of quickly spotting novel patterns in entities such as cancerous cells, and rapidly removing them before they can multiply or cause harm. This novel pattern recognition can be especially helpful in the case of HIV. Algorithms may be more effective at recognizing the quickly changing surface antigens of HIV, or of finding a new pattern altogether. The system can also supplement the heavily affected T-helper cell population by eliminating cells with already present viral reserves, and maintaining the adaptive immune system while the T-cells replenish themselves. For this same reason, an AI would be extremely beneficial in targeting cancer cells. These renegade cell lineages may be identified quickly, and taken care of before they reach a number count that is considered critical. Even in severe cases, and AI may be able to eliminate aggressive tumors from the body, and treat cases previously considered to be terminal. The proposed nanobot-AI system can be of great help to the elderly. As a supplementary system to the aging adaptive immune system, the nanobots can help fill the gap created by insufficient and ineffective cells. By sheer quantity, they can make up for the decreased overall number of cells in the blood. Since nanobots don’t face the problem of organic aging, they will not lose their effectiveness and will maintain the specificity that an elderly immune system lacks. There is also potential for the AI to fix the problem at its source. It can send signals to facilitate the rebuilding of the thymus on a cellular level, and adjust the levels of chemical messengers in the blood to avoid the initial deterioration caused by biological chemical imbalances. While an AI supplementary immune system is a promising idea, there are many different aspects that must be developed before such a system can be feasible, let alone practical and safe. On the nanotechnology side, these machines must be well designed and perfected for usage in the human body. Technological malfunctions can have critical effects once nanotechnology has been introduced into the human body. Other potential issues that emerge when considering the coexistence of organic and inorganic tissue is the disposal of damaged nanomachines. It is likely that in the course of the wear-and tear nanomachines will experience in the human body that at least some will be incapacitated and will need to be removed from the body in a safe and effective manner. This may be accomplished by having a default setting/conformational change that nanomachines revert to that allows easy evacuation through the kidneys or the colon. There are also many concerns with the programming of the AI itself. Many dystopian scenarios imagine a future in which robotic AIs come to different decisions than their human creators. Such a scenario can unfold on a much smaller scale in the human body. It is possible with machine learning that an AI may erroneously target its own host, leading to devastating consequences. As such, there must be a failsafe put in place that allows the AI to be remotely overridden or modified to change its decision-making process. The AI must also be prepared to handle scenarios in which the body’s chemistry changes drastically, such as surgery, the intake of normal medications, and pregnancy in females. All such critical scenarios will have to be presented as possibilities to the AI in addition to the ideal of homeostasis so that no nasty surprises present themselves after implementation. Finally, problems may arise due to the mechanical aspect of the nanobot/AI system. For one, human interactions that don’t normally disrupt use due to our organic nature will suddenly pop up once we enter the machine-human amalgamation. Anything that brings us under the influence of magnetic fields and electrical forces can detrimentally affect the machines within us, and may lead to their malfunction. An MRI scan can turn from a routine medical procedure to a dangerous endeavor. Potential strategies to avoid these issues could include attempting to use non-conductive materials in the construction of our robots, or “draining” them from out bodies temporarily for planned exposures to “non-compatible” situations. Another problem that present itself due to the AI interface is potential tampering and hacking. Due to the presence of communication channels between the nanobots themselves and the potential external source of control, the whole system becomes vulnerable to those who can benefit from changing or usurping the nanobot-human relationship. If nanobots do become widespread within a population, a large-scale attack is a very serious concern. There may be ways to successfully encrypt and protect these connections, but truly foolproof systems should be a primary concern in the implementation of this proposed AI system. While the possibilities and implications of joining man and machine in the effort to strengthen the body’s systems are promising, the idea itself touches a raw nerve in many people’s vision of what “humanity” means. There exists the notion that humans are special in this universe; irreplaceable sources of curiosity, conscious thought, and imagination. The idea that parts of our bodies are “defective” and can be replaced with machine parts may strike some as insulting, and perhaps frightening. The question of whether other parts of ourselves are replaceable or capable of being improved upon brings to mind visions of older models of cell phones and laptops, lying unused or rusting away in landfills. Such a viewpoint can be countered with the observation that when all of the body’s physiological processes are boiled down to their molecular and cellular components, we are all made up of minute machine-like processes that make us up as a whole. Signals from the external environment activate the cellular circuitry of the nervous system and cause cascades of signaling and programmed reactions reminiscent of algorithms within the body. 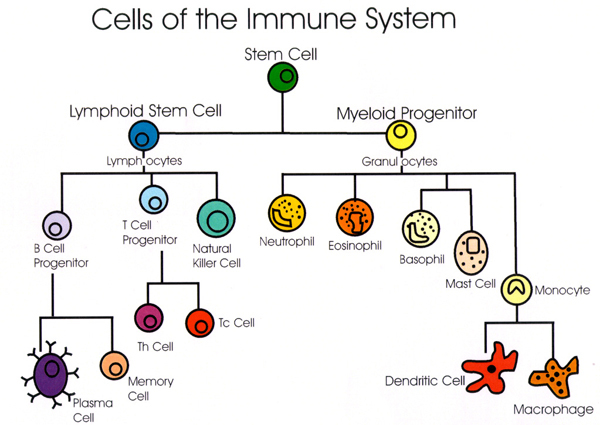 The immune system itself is run by a set of instructions written within genes. The concept of a similarly programmed system, even one from a non-biological source, is not so large of a step as many might imagine. It may be prudent to welcome an artificial AI as a new component of the grand machine that is the human body. Artificial intelligence has great promise for use in the medical field, and if the joining of nano-robotics and AI is successful, the possibilities for human health improvement are remarkable. The gaps and limitations in the human immune system can be filled by such a system, and further applications in toxicity reduction and tissue repair would be on the horizon. Nanotechnology may eventually be able to prevent brain damage in neurodegenerative diseases such as Alzheimer’s, supplement hormone deficiencies on the microscopic level, provide life-saving intervention after accidents or sever trauma, and intervene in blood-related diseases that affect blood flow, circulation, and oxygen saturation (Saha, 2009). While there are still many technological developments necessary before such an idea becomes feasible, it should be taken seriously due to the myriad of benefits it can offer humanity. Even after the technology is in place, there will need to be a serious discussion on the implications of a cellular partnership with an artificial “organism.” This conversation may challenge our conception of humanity as a whole, but it will be a necessary one in the face of technological advances to come in the next few decades. An antigen is a molecule that is recognized by T or B cells via T-cell receptors (TCRs) or antibodies, respectively. T-cell receptors bind peptide sequences from protein antigens via MHC molecules, while antibodies can bind to various molecule classes such as proteins, lipids, and carbohydrates (Abbas & Lichtman, 2011). Apoptosis is the process of cell death that occurs in response to cellular signaling as a form of quality control in the immune system. This cell “suicide” is characterized by cellular fragmentation (Abbas & Lichtman, 2011). Endocytosis is the process in which cells absorb extracellular molecules by engulfing them into vesicles. MHC (major histocompatibility complex) molecules are proteins that present molecules to T lymphocytes for assessment. Class 1 MHC molecules are found on all nucleated cells and present cytosolic (found in cytosol) “self” proteins to CD8+ T cells (cytotoxic T-Lymphocytes). Class 2 MHC molecules are mainly found on professional antigen presenting cells (APCs), and display non-self proteins that have been endocytosed to CD4+ (helper T lymphocytes) (Abbas & Lichtman, 2011). An antigen presenting cell (APC) uses surface MHC molecules to present peptides derived from protein antigens to display, and activate T-Cells with the appropriate peptide receptor. To activate the T-Cell, the APC must present both the peptide fragment via the MHC molecule and a costimulatory molecule that is usually derived from the innate immune response(Abbas & Lichtman, 2011). Abbas, A., & Lichtman, A. (2011). Basic immunology: Functions and disorders of the immune system (3rd ed.). Philadelphia, Pa.: Saunders/Elsevier. Tarca AL, Carey VJ, Chen X-w, Romero R, Drăghici S (2007) Machine Learning and Its Applications to Biology. PLoS Comput Biol 3(6): e116. Anna Kozlova is a graduate of Macaulay Honors College and The BA/MD premedical honors program at Brooklyn College in New York City, and is beginning her first year of medical school at SUNY Downstate College of Medicine. She is currently finalizing her research on the potential prognostic values of breast cancer cell marker localization, for which she has received the Jonas Salk Scholarship. She is interested in the intersection of technology and human biology, with the potential of future medical applications.